This comic was inspired by Wendy Wagner’s workshop Feet on the Ground held by Clarion West. Umwelt is an excellent word. Thing 1: Do you know what Unwelt is? Bunson: That’s like when a rash goes away! 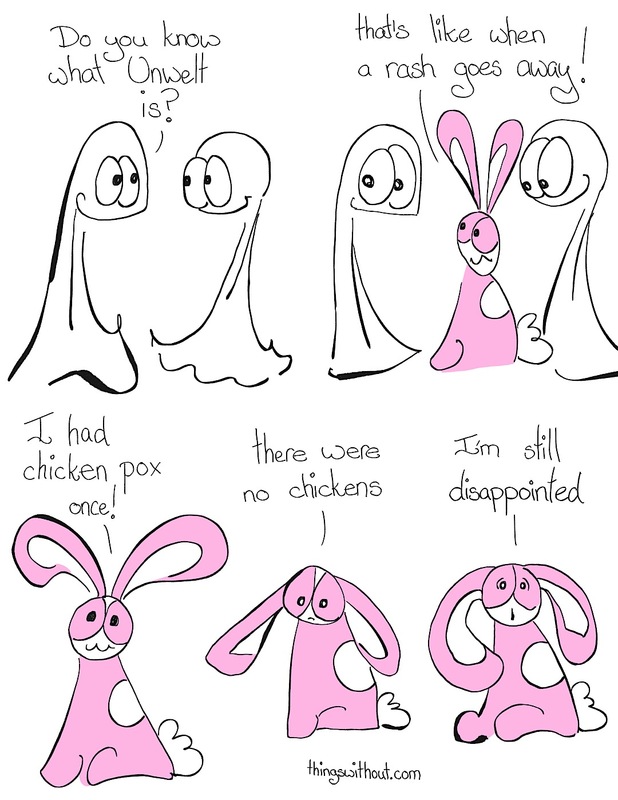 Bunson: I had chicken pox once. Bunson: There were no chickens.